Hairs hairs everywhere. On sale now at Ki2 is the Virginia.. Braidy braids. 9 colors available in packs of 3, or the whole lot at once. 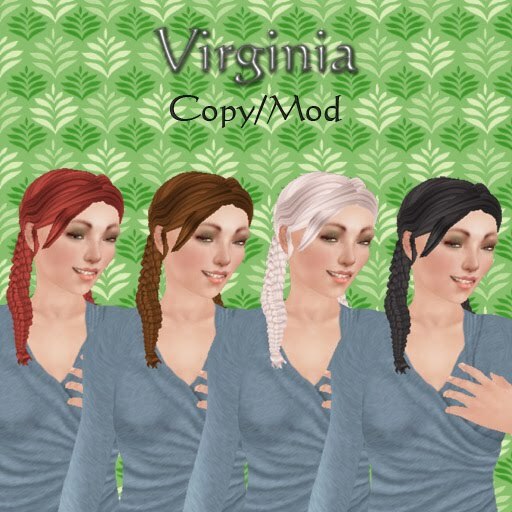 It should be noted while the demo is copy only, the actual hair is copy/mod. 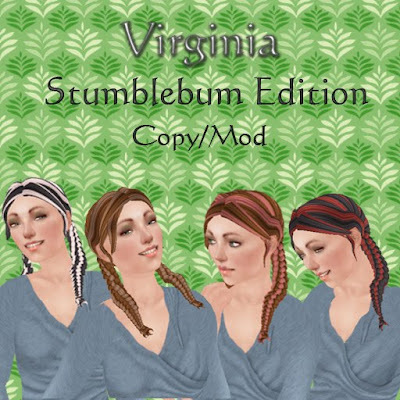 Special Stumblebum 4 pack available this week only! Mystery Dollarbie, not so much of a mystery.. more hair. So.. if you want to check it out, mod/copy.. splurge and spend the 1L$ on the Dollarbie. 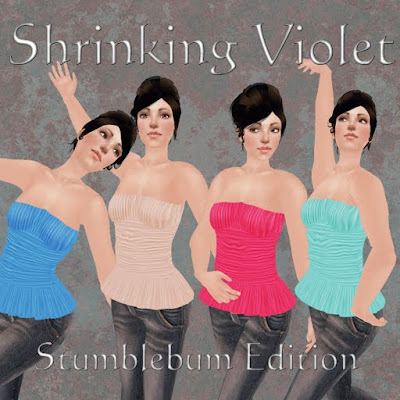 Starting tomorrow, These will be available for the Easter Egg Hunt on the Starlust Sims! Come get them all before they're gone for good! Colors in Top image available for one week only. Get them at Ki-Squared Mine on Lloyd! Now Available on Lloyd at Ki-Squared Mine, Forktopus Revenge. 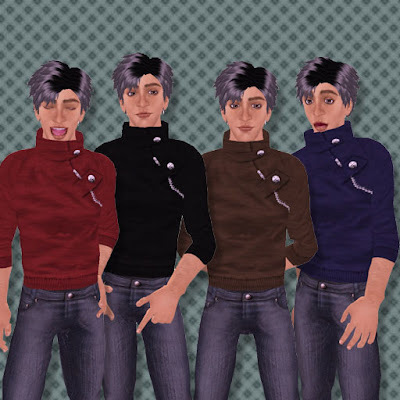 You get all three colors, for 100L$, mod/copy of course. Also, new Dollarbie is out! 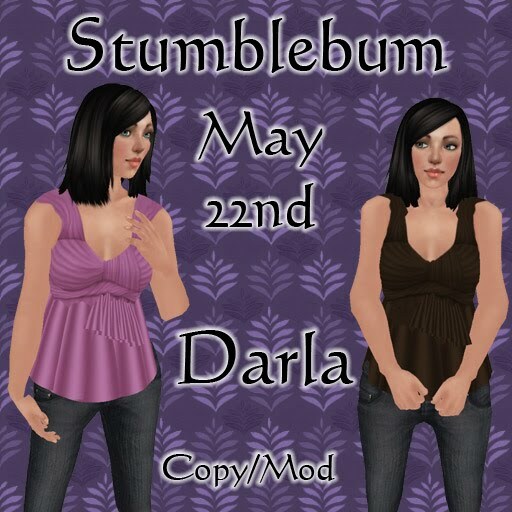 I'm in Stumblebum this week! And I made something unisex! The Green one is exclusive to Stumblebum, so it'll be vanishing forever once it's done. The other four will be available in my shop on Lloyd until I redecorate and run out of room, or whatnot. Stop by and check 'em out for yourself! 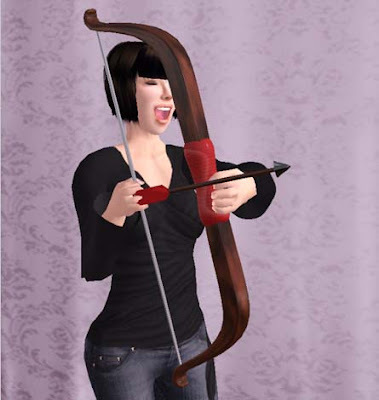 Cupid Bows in 4 Colors at the Mine! There IS a Fifth color... but you'll have to do the Soon to come Valentines Hunt on Starlust to get at it. These Babies -Really- Shoot, Are a blast to fight with friends, and a steal at 50L$ a pop. Who doesn't want to impale their friends for a little holiday fun? Amirite? I just branched out on my own, Ki-Squared, from Cupcake! with Crystle Bukowski and Tilly Tokyo. Still relatively new to SL design, but hooked like a junkie.